Twitch will return to San Diego later this year for TwitchCon North America 2019. The event will take place on September 27 - 29 at the San Diego convention centre. Tickets are not yet available but are expected to go on sale before summer. 2018 saw Twitch's main US event move from its former home at the San Jose convention centre in California over to San Diego. This will be the second TwitchCon to be held in San Diego, with the first taking place in 2016. 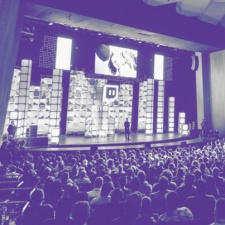 Few details have been released regarding this year's TwitchCon NA, but we can expect to see games, streamer meet and greets, various panels, keynotes, and community meet-ups. For those who can't make it out to the golden state this year, TwitchCon Europe is just around the corner. The event promises a host of activities, including the Glitch Theatre main stage, esports shows, creator camp, partner meet & greets, and Twitch product pods. Twitch's first euro event kicks off on April 13th at Berlin CityCube, Berlin. Tickers are available to grab from the event's website.